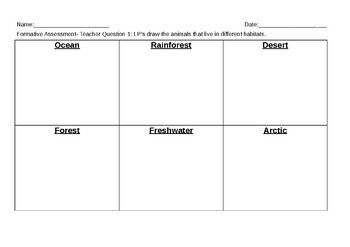 PYP formative assessment for Sharing the Planet. Year 1 and 2. Students demonstrate knowledge of habitats by drawing or writing six habitats.